St Louis drivers looking for a mid-sized sedan, perfect for weekly commutes or running errands around the city, need look no further than a finely-appointed used Volkswagen Passat, available now at Suntrup Volkswagen in St. Louis, MO. With excellent highway fuel economy, available front and rear seat heating for chilly mornings, and available Apple CarPlay to seamlessly integrate your smartphone into the in-dash display, a used Passat has the blent of efficiency and technology you want, at a budget friendly price. 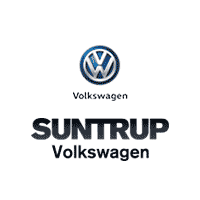 Why Buy a Used Volkswagen Passat from Suntrup Volkswagen? Not only do we offer a full inventory of new and used Volkswagen vehicles, we strive to create a relationship with each and every one of our customers. That’s why features like our People First Warranty is transferrable, so your used Passat remains covered for 6 years or 72,000 miles. We know your time is a valuable resource, and offer prepaid care and maintenance plans so you can drive easy knowing we have your back. If you’re ready to stop by and view our extensive inventory of used Passats for yourself, contact us today to set up a test drive, and you can even apply for financing from the comfort of your own home, so you can spend less time on paperwork and more time enjoying the newest addition to your family.